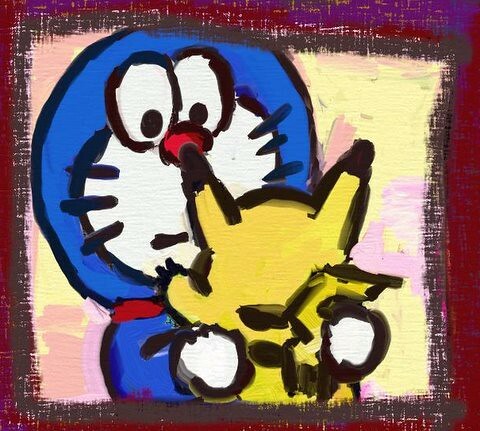 Doraemon is not a Pokemon. But who says he can't befriend one? This is also my very first proper drawing done on my new toy - the smallest Wacom Bamboo! And of course, I don't know how to blend colours properly. I hope they teach that in art school. nice! when are you going to lasalle? I might not make it to Art School in the end! It's too bloody expensive!